Drury Hotels Chooses Caroma Dual Flush Toilets for Seven Hotels | Green Lodging News. HILLSBORO, ORE.—Drury Hotels, a 100 percent family owned and operated mid-scale hotel company, has chosen Caroma, a leader in dual flush toilets, to supply water-saving toilets to seven hotels in the Drury chain, including the Drury Inn and Suites, Pear Tree Inn, and the Drury Plaza. This includes three retrofit projects (one in 2007 and two completed in early 2009) to replace older, higher water usage toilets and four new constructions (one in 2008 and 2009 and two in 2010). Caroma’s first installation with Drury Hotels in 2007 was part of San Antonio Water System’s commercial toilet retrofit program at the Pear Tree Inn, San Antonio, Texas. 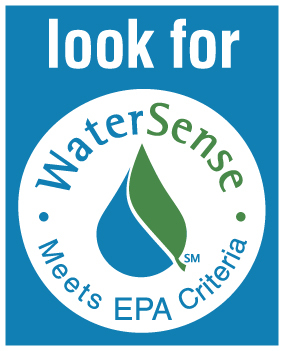 As a result of high efficiency dual flush toilets and low flow showerheads being installed, the water consumption reduced by an average of 50 percent from 2006 to 2009 for the same three-month period. The impressive results in water savings and performance are now being experienced in other Drury Hotels in San Antonio as well as Flagstaff, Ariz., and in hotels opening during 2009 and 2010 in Phoenix, Wichita, Kan., and San Antonio. Caroma was chosen as the dual flush toilet provider to help maximize water savings in the bathrooms. The Sydney Smart range was installed during two retrofit projects in early 2009. The Sydney Smart features a 1.28 gallon full flush button for solid waste and 0.8 gallon half flush option for liquid and paper waste, averaging just 0.9 gallons per flush. 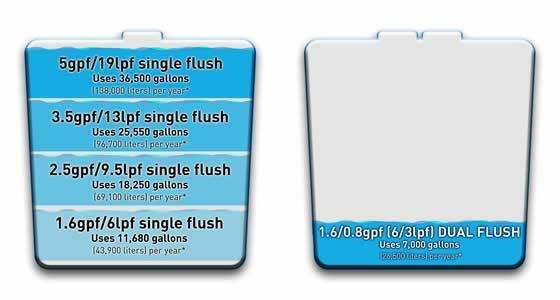 This saves nearly 44 percent more water compared to the nationally-mandated 1.6 gallon toilet. Assuming an average of 125 rooms with a 70 percent occupancy rate and eight flushes per room, one Drury hotel can save more than 664,000 gallons of water annually compared to a 3.5 gallon toilet and 178,000 gallons compared to a single flush 1.6 gallon toilet. The Sydney range installed in two earlier hotel projects use 1.6 gallons per flush for solid waste and 0.8 gallons per flush for liquid and paper waste, averaging only 0.96 gallons per flush based on a 1:4 full/half flush ratio.